Getting the good score in NEET exam is not an easy but you can do it. If you have to take an admission in top college for MBBS or Dental then you have to do some hard work. For getting an admission in top college, you have to get a good score means 600+. For getting such a score in NEET UG online exam- It requires practice, time, and your dedication to your study. One thing always remembers anybody can crack NEET Exam if given enough time and practice. Scoring 600 in NEET exam means you have to solve correct 150 MCQs answer out of 180- without any negative marking. So for getting such a score, you have to do practice up to end stages. Do such a practice that you have to ability to solve up to 180 question without any negative marking then you can score up to 600. You should also decide how much to attempt and subject-wise score based on your strength and weakness. For getting MCQs correct in physics and chemistry you need more practice but in biology, you can score well. 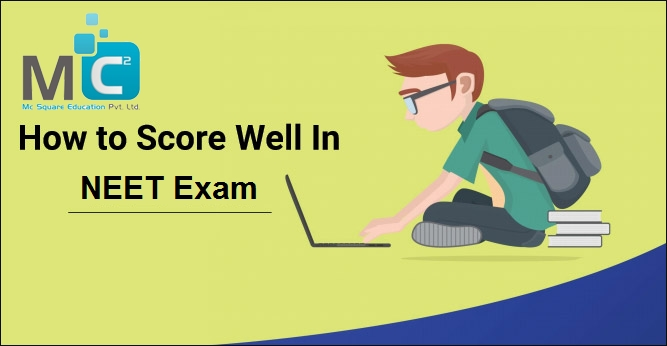 If you joined NEET coaching institute in Pune at Mc2academy then you can easily score good marks and complete you and your parent’s dream to become a doctor. Don’t waste your time & manage proper time. You have to spend a lot of time on execution than planning and dreaming. You cannot spend your entire day on planning for schedule. Your schedule will be ready within a minute. You enjoy the process of learning, practicing, and cracking sums. Avoid social media at the time of an exam. If you are so much attached with a social media then you can check it for only 5 minutes. If you check out 3-4 time in a day then it will cover out. If you are continuously on social media then you can’t do a study and don’t score a good mark. Negative marking can get you down from big total to low. If you are sure about answer then only solve. Whatever question you know firstly solve that after use your logic.